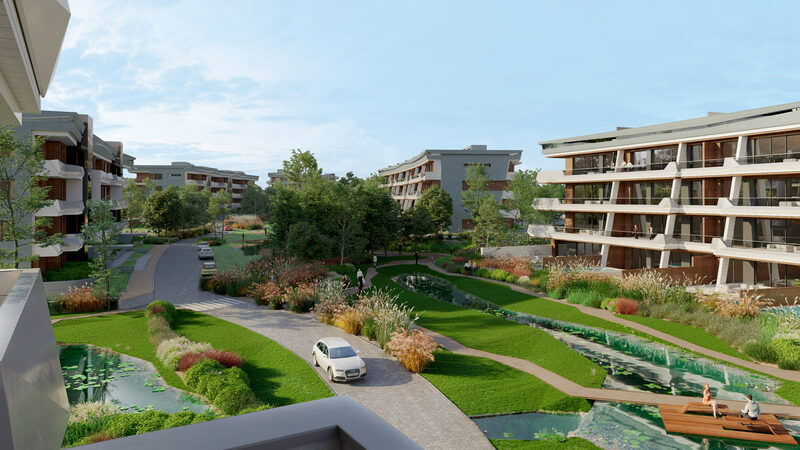 The Premium project of 515 houses will be developed in three phases over an area of 850.000m2 which is located in the Avenida Luis García Cereceda. 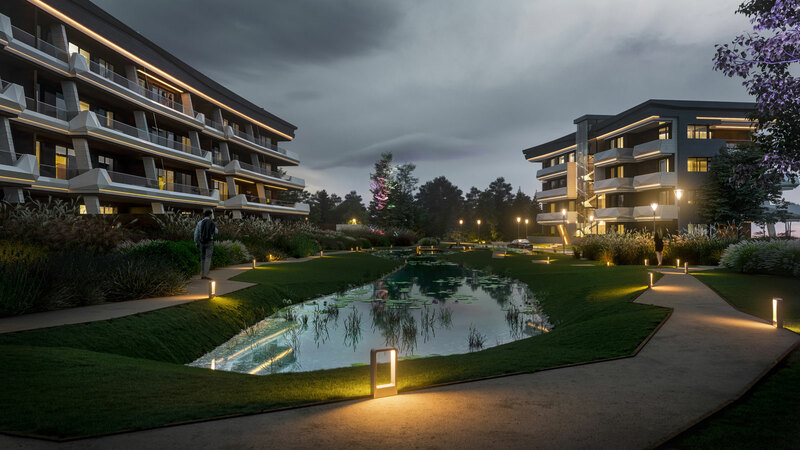 The team from the PORCELANOSA Grupo has made use of several top-quality pieces in the 144 houses which make up the first phase. The Carrara Blanco, Newport White and Arcan Corten ceramic collections have been used as floor tiles and wall tiles in the interiors, on the terraces and also on the houses’ façades. 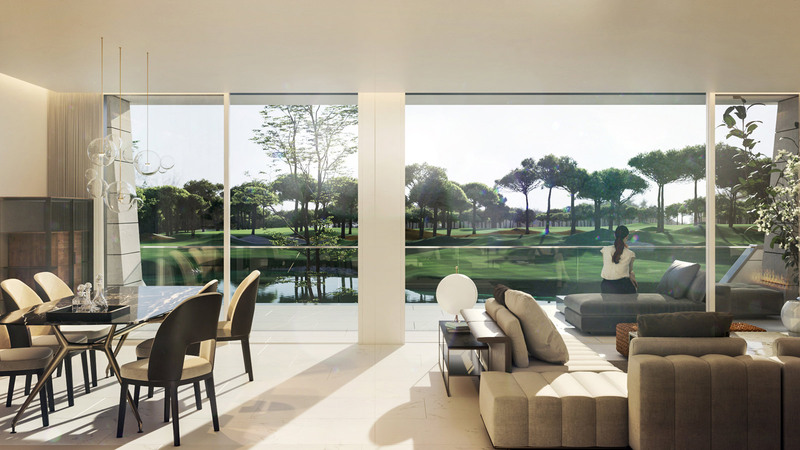 The PORCELANOSA Grupo and the LaFinca real estate group will work together on the exclusive LGC residential houses located in the Avenida Luis García Cereceda in Pozuelo de Alarcón in Madrid. 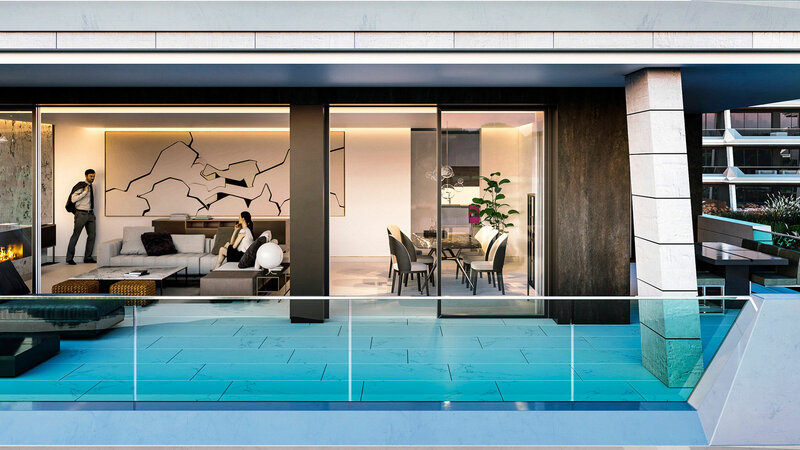 The first phase, which is made up of 144 houses, will include the Premium floor tiles and wall tiles from the PORCELANOSA Grupo in the kitchens, on the terraces and on the ventilated façades. The project will be carried out in three phases and it will have a total amount of 515 houses spread out over an area of 850.000m2. 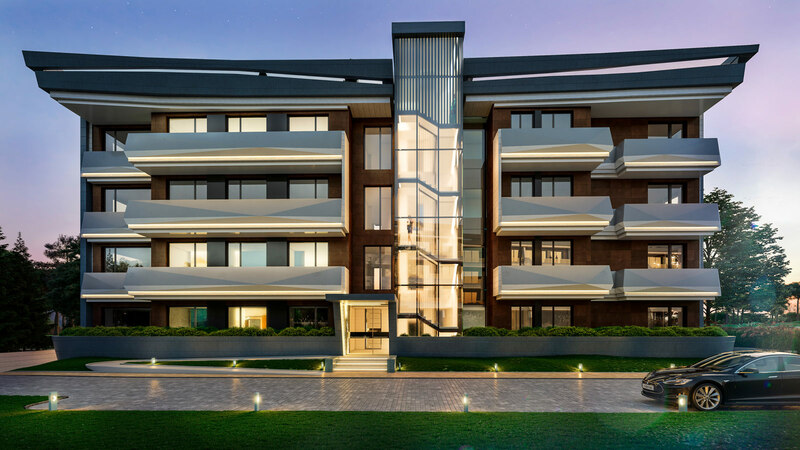 This residential complex will also include several leisure and sport facilities. 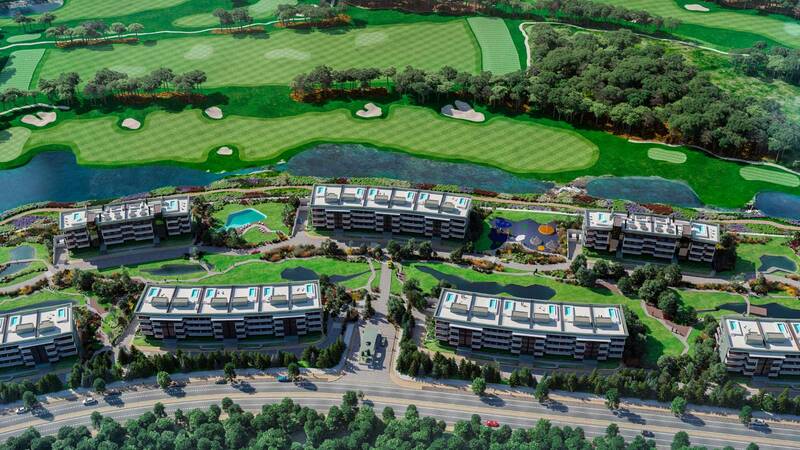 Among them, it is worth highlighting: an 18-hole golf course, a lake taking up an area of 35.000m², an artificial beach, several sports schools and an athletics track. 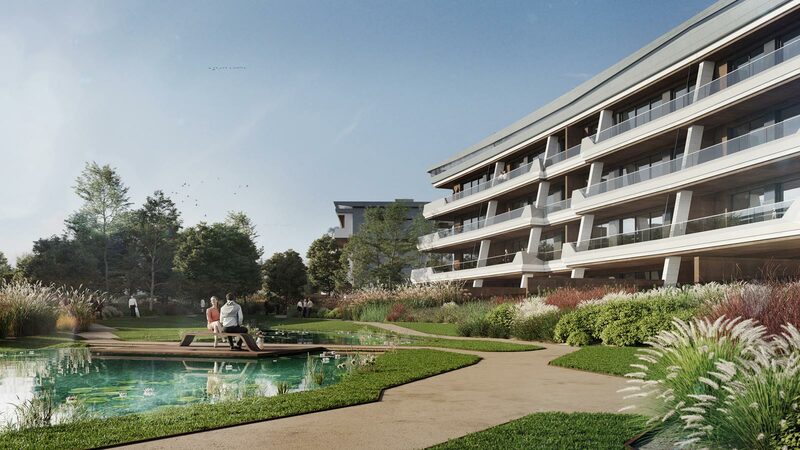 Among the commercial options suggested, there are plans to build a shopping centre (La Finca Grand Café) which will take up an area of 10.000m2. 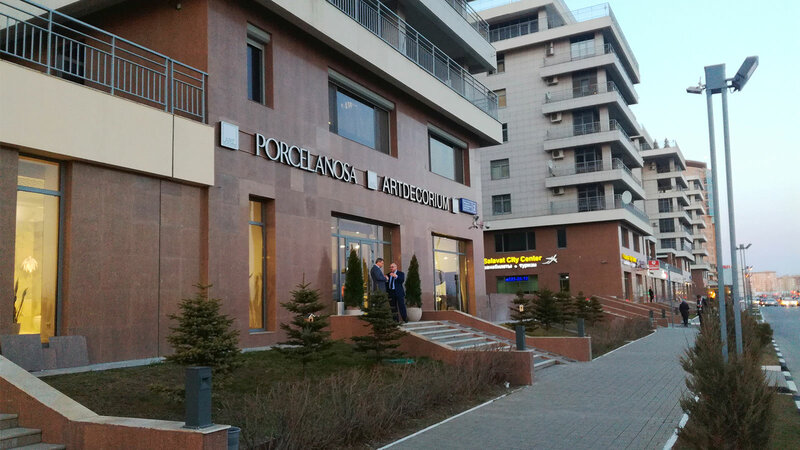 “Porcelanosa stands for quality. There are other firms in the sector, but here at Grupo LaFinca, we are used to working with the best there is and Porcelanosa offers us the maximum guarantee on a wide range of products for our houses in LGC3”, remarks Florencio Fontcuberta, the technical manager of LaFinca. 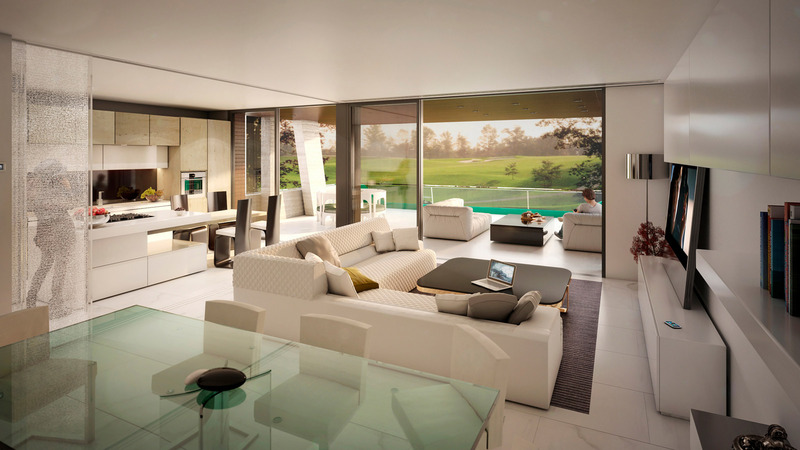 The Architecture and Design team from the Grupo LaFinca has opted for the Carrara Blanco Natural model from Porcelanosa for the interiors and terraces alike. This piece belongs to the large-format Premium ceramics from HIGHKER. Its aesthetic perfectly portrays the Carrara marble, whose grey veining gives spaces greater depth because of the spaciousness offered by its design. 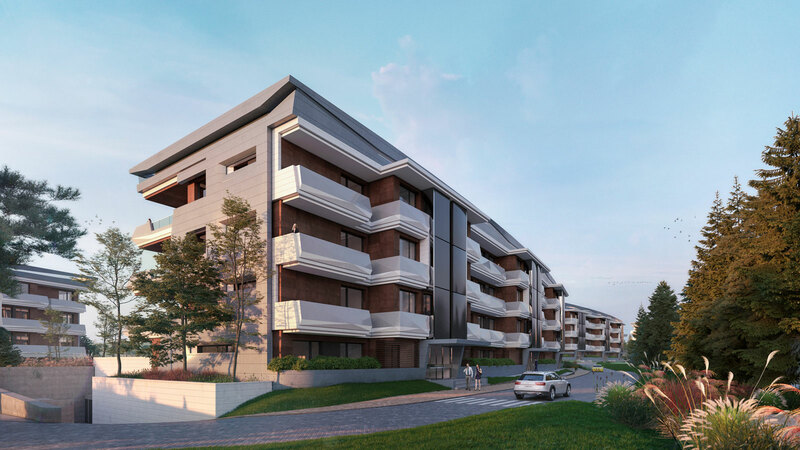 “We have included a careful selection of materials to meet the demands of this large project. Our objective is to bring sophistication and comfort, together with the hallmark which characterises us”, remarks Juan Bautista Ramos, the commercial manager of the Large Projects department from the PORCELANOSA Grupo. 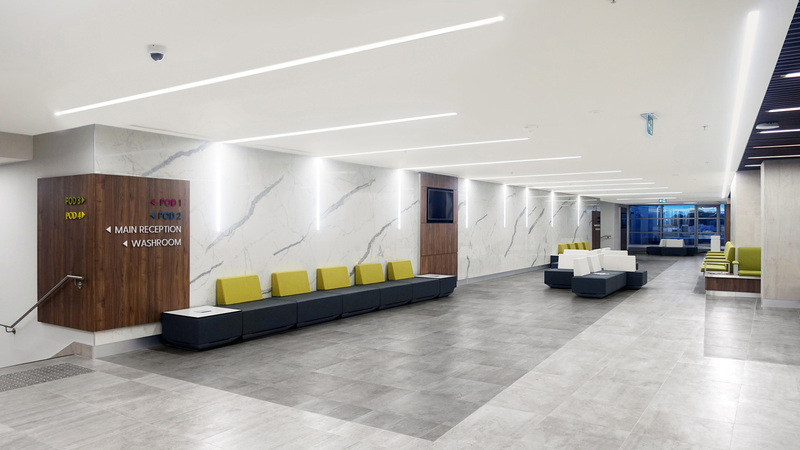 The façade development has counted on the advice from the professional technicians from Butech, which has included the most standout wall tiles from the PORCELANOSA Grupo. The first of them is the XLight 3+ from Urbatek with the Arcan Corten collection . It has an extra slim thickness of 3.5mm, and it is based on rusty steel, thus reproducing the 20th-century industrial aesthetics. A tone which makes it possible to bring several styles and elements together in an orderly manner. One of the other materials which has been used is Newport White, one of the Premium collections by Venis, whose industrial aesthetics widen the possibilities for the space. 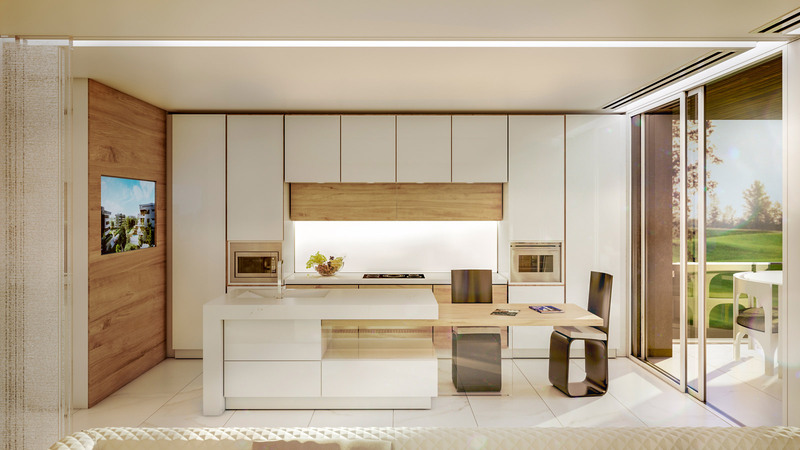 The kitchens by Gamadecor which have been included in the project, offer the latest technology through the most exclusive materials. The raised access flooring in exteriors from Butech will result in a balance between the different areas of the house. This system gives visual continuity to the terraces, since it has no gradient and it is highly resistant against extreme weather conditions. The signature bathrooms by Noken will be also included in these houses, with the Tono taps from Foster+Partners, along with the Arquitect bathroom furniture. The necessary quality of life.